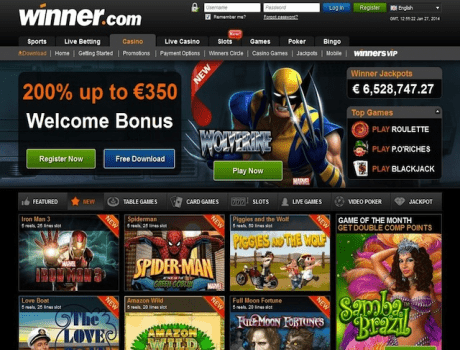 The First Deposit Bonus is not the only bonus available at Winner Casino. You can claim a generous Second Deposit Bonus of 60% up to a massive €300 if you make a deposit of at least €20. Make sure you don't miss out, claim this bonus today! The maximum bonus that can be claimed is €300 .The maximum bonus amount can be awarded only if, prior to making the first deposit, the account is verified.